Elizabeth Pappy has more than two decades of experience litigating all manner of business and commercial cases. 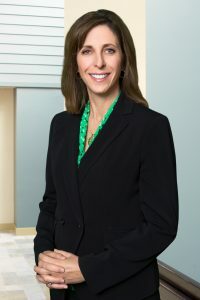 She represents individuals and companies, both small and large, including high-tech manufacturers, construction companies, real estate developers, gas station operators, recyclers, medical and dental practices, and non-profit organizations. Elizabeth’s background as a bankruptcy attorney gives her the advantage of being able to counsel creditors on debtor-creditor rights issues and bankruptcy matters, as well as litigate in Bankruptcy Court. She received her law degree from Santa Clara University.